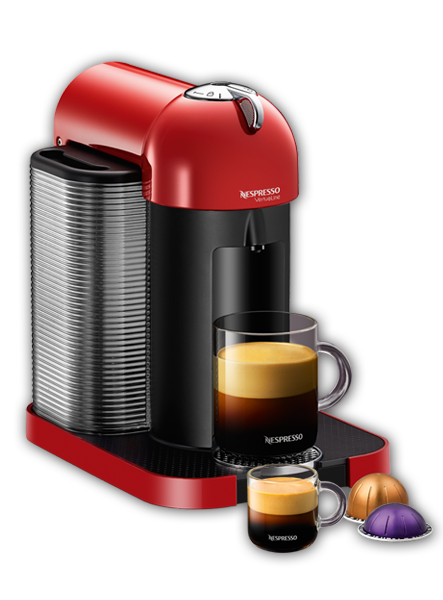 The new VertuoLine is a coffee revolution, it represents the next generation of single serve machines from Nespresso. 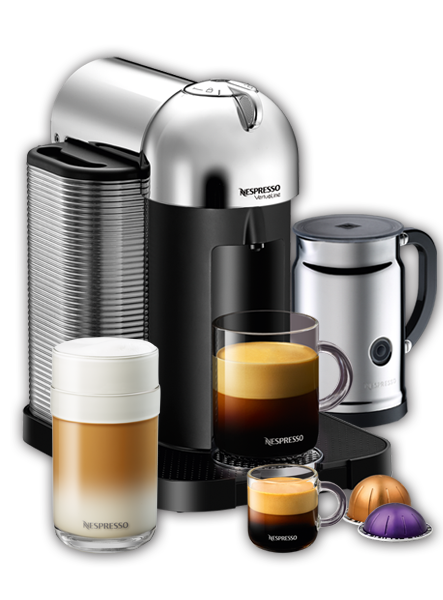 The VertuoLine expands the capability of Nespresso’s single serve espresso concept by offering the ability to brew larger cups of crema coffee, in addition to classic Italian style espresso. Centrifusion Technology – A whole new way to brew coffee. This 5 step brewing process starts with the Vertuoline Casule, each capsule has a bar code which contains the perfect brewing parameters associated with the selected capsule. Temperature is adjusted, as well as, cup size, rotational speed, flow rate and time the water is in contact with the coffee. During brewing, the coffee is spun at speeds of up to 7000 RPM creating deliciously thick crema. Now through Father’s Day, receive $75 in free coffee with purchase.